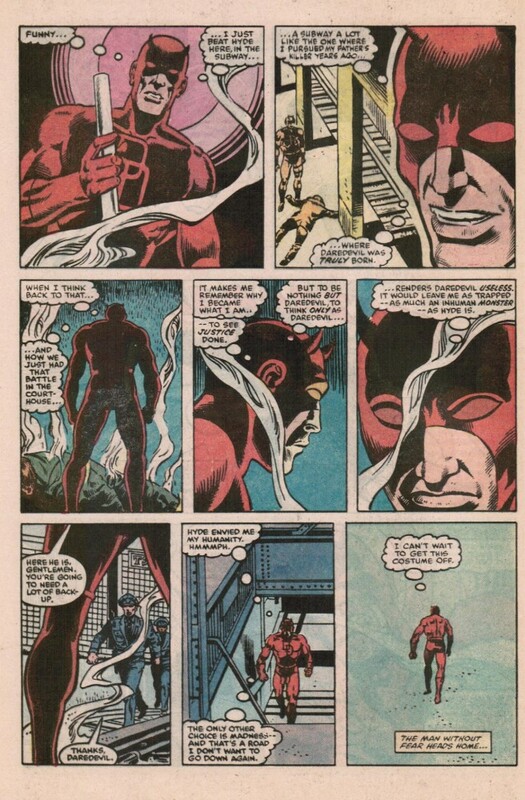 "You're trapped being Daredevil." Isn't every superhero trapped being that superhero? "I don't have a choice in the matter" and other things about "fate" and whatnot. Did Matt really go crazy during BORN AGAIN? He was already depressed due to Heather Glenn's suicide. 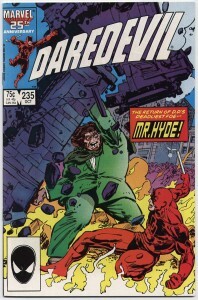 The main story is Daredevil fighting Mr. Hyde, and Hyde wondering if he will be trapped in his monster form or if he will ever be able to become Calvin Zabo again. There isn't much that says Zabo is "nicer" than Hyde, just weaker and a bit more inhibited. 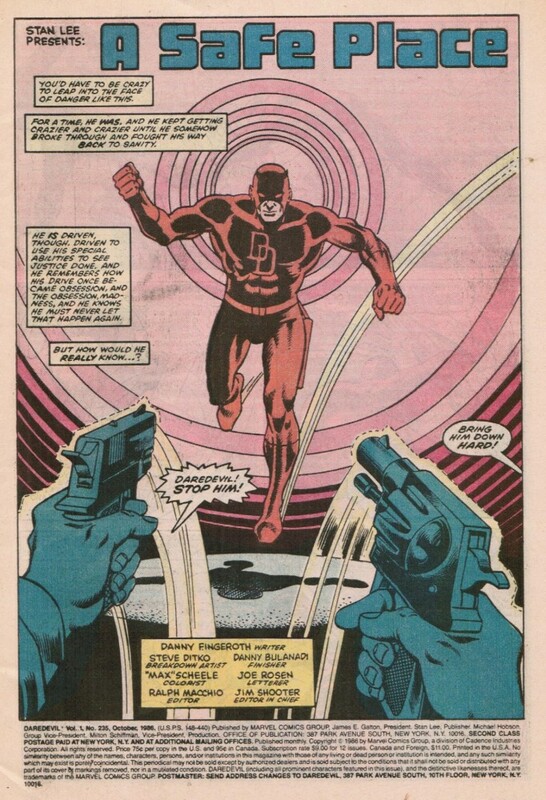 The fight between Daredevil and Hyde ends at a subway platform. 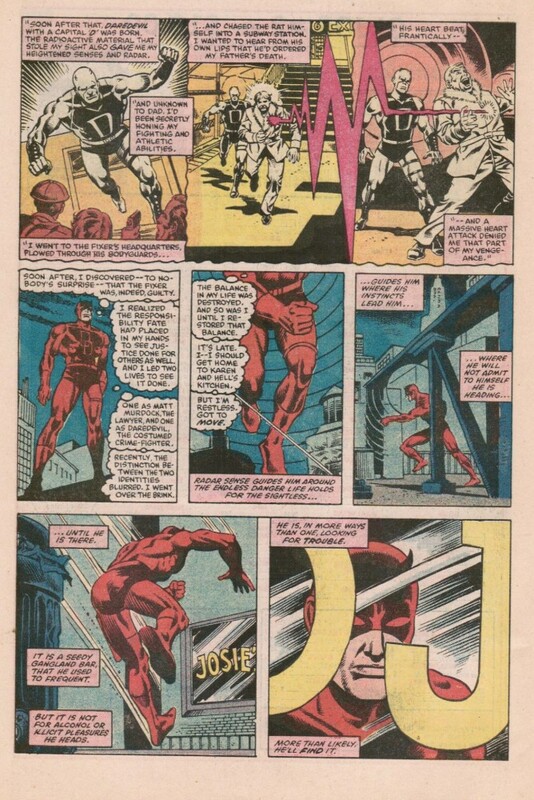 Matt didn't become a lawyer again until DAREDEVIL #300. 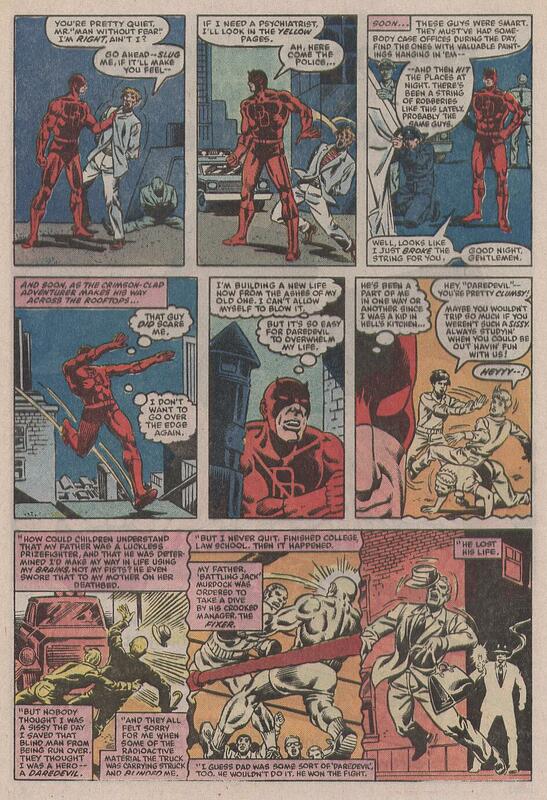 So he was "Matt Murdock, former lawyer now giving free legal advice at a community center" for a while. Were the kids that mocked Matt really that bad? 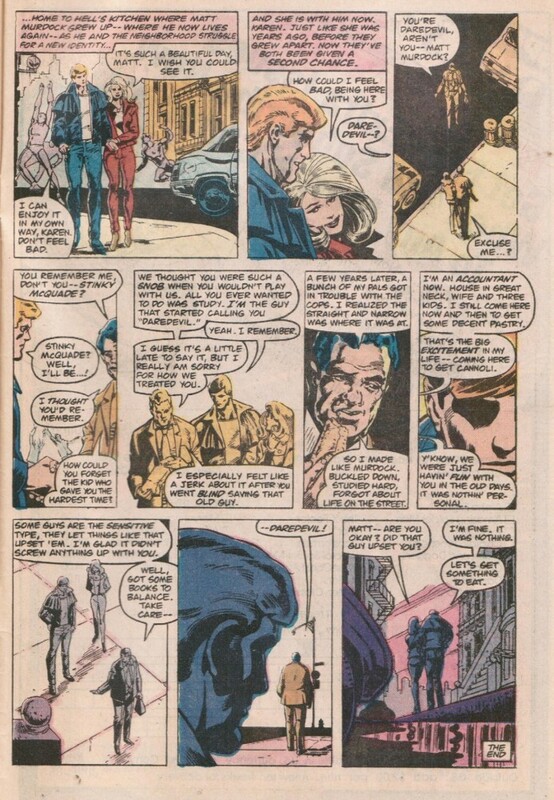 Some stories (by Miller and Nocenti) make them look sadistic. 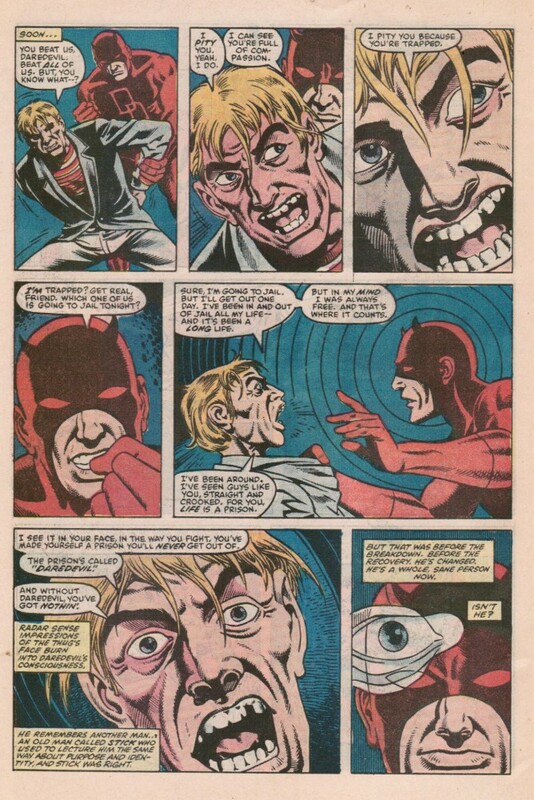 In issues #28 of his run, Mark Waid had one of the bullies, Nathan, say Matt was a stuck-up know-it-all before he was blind.